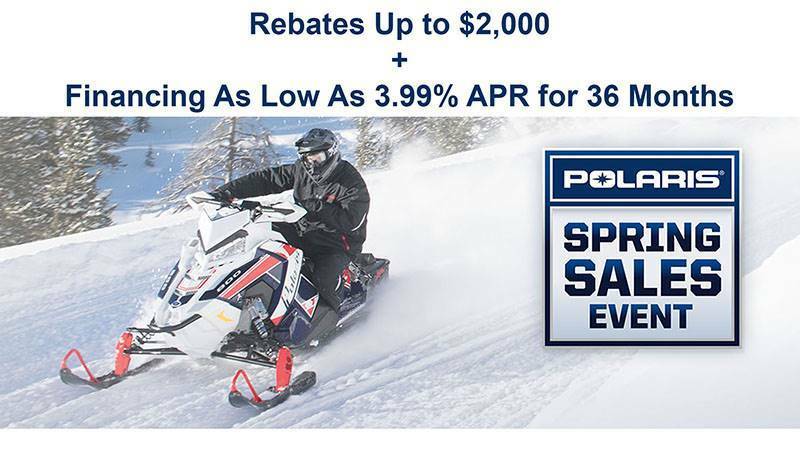 The SnowCheck-exclusive 850 PRO-RMK® 155 is the lightest, strongest, most flickable deep snow sled on the market – powered by the all-new Polaris® Patriot™ 850 engine. The world's best mountain sled delivers the industry's best power-to-weight ratio, giving the rider instantaneous lift and immediate response. POWDERTRAC™ RUNNING BOARDS: The PowderTrac™ running boards have been developed for maximum snow clean out and maximum strength. Built from extruded aluminum with bonded cast lugs, they boast an open area of over 50% and integrated traction that is machined in for sure footed performance.